From zombie cats to evil clowns, join us on a traumatizing walk down memory lane. There are two kinds of people in this world: Those who saw these horror movies at an appropriate age, and those who tuned in when they were wayy too young. We fall into the latter category—and suspect that we’re not alone. However you saw these freaky flicks of zombie cats and evil clowns as a child, you know they’re permanently burned into your memory. Here’s to an emotionally-damaging walk down memory lane. 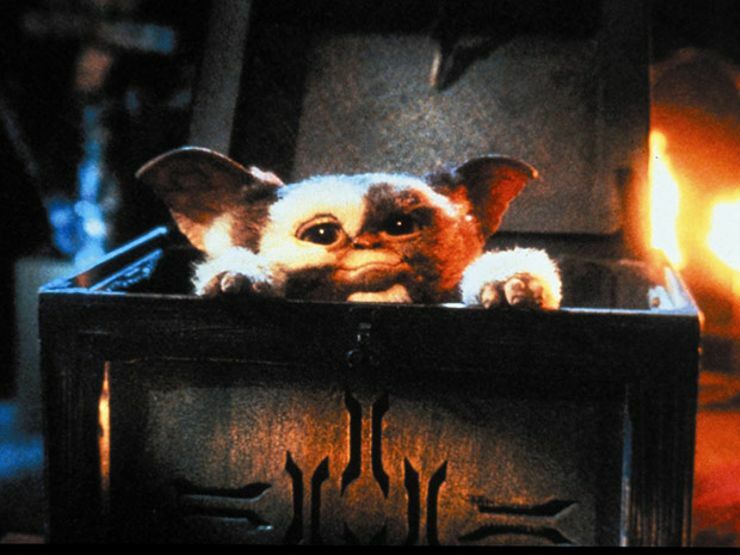 In our defense, the trailer for Gremlins totally lied, making this horror movie look like a cuddly Christmas tale about fuzzy Muppet-like creatures. Parents and children alike were excited to meet the adorable Gizmo. WELL. No one told us what happens when you add water to the cuddly critter. Bursting from Gizmo’s back is a gang of gremlins that wreaks havoc on the film’s sleepy town. These slimy beasts terrorize bartenders and send grannies tumbling out of their homes to die in a snowdrift. Oh, and don’t get us started on Phoebe Cates’ traumatizing story about Santa Claus coming down the chimney. Worst Christmas ever. No, beloved kitty does not go to kitty heaven. 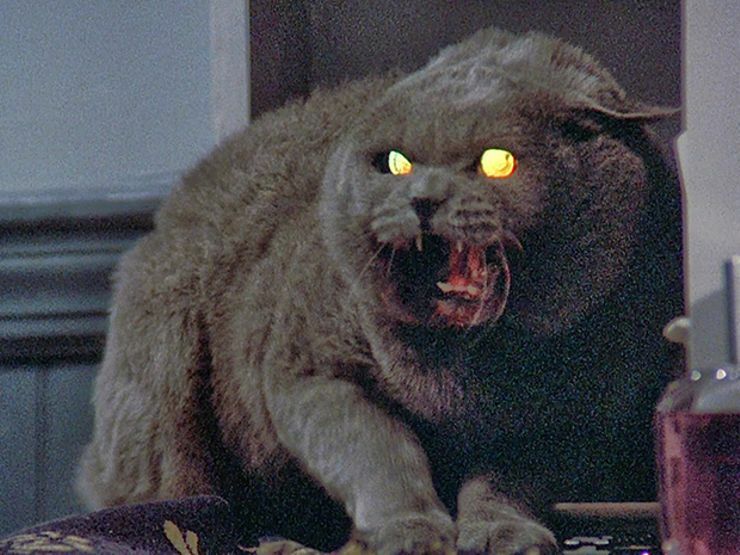 Instead, your unhinged dad buries the family cat in Pet Sematary, and the deceased feline claws its way back from the grave, looking to terrorize. Animal-loving children everywhere were deeply disturbed by this adaptation of Stephen King’s 1983 horror novel. King said he came up with the idea after a car hit the family cat, and he had to explain what happened to his young son. Well thanks for that. As if having a pet mowed down by a Mack truck wasn’t enough, now she’s a murdering fiend from the fires of Hell. And we haven’t even opened the door to Zelda’s room—which, for everyone’s sake, should remain closed. If you were anything like us as a kid, you spent hours lost in the folklore section of the library, reading up on Nessie and the Bermuda Triangle. If not, congratulations—it sounds like you had a lovely childhood. Perhaps you stumbled upon this film in the video rental section. It stars an adorable 12-year-old Lukas Haas! How scary could it be? Well, brace yourself. Lady in White has it all: A spooky classroom, a serial child killer, and a ghostly lady in white haunting an abandoned cliffside cottage. There’s even a brutal scene that depicts what can happen when the criminal justice system fingers the wrong guy. This film manages to be about spooky ghosts and disturbing real-life crimes. That’s what makes it so terrifying. 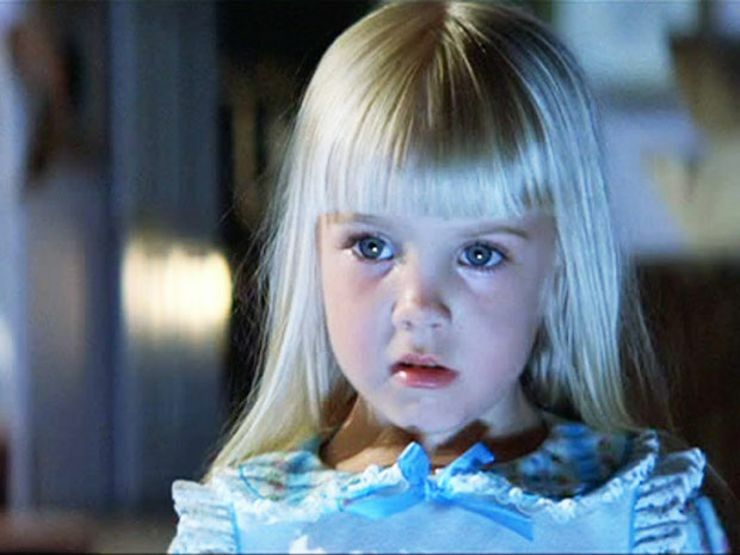 We thought this was a movie about a sweet little blonde girl named Carol Anne who watches too much TV. Boy, were we wrong. Whether it’s the paranormal activity in the house, Carol Anne’s disappearance, the terrifying clown doll crawling around Robbie’s room, or the rotting skeletons popping up in the unfinished swimming pool, this movie is a parade of disturbing images. Thanks, Steven Spielberg. Okay. So this one is not technically a horror movie. Yet for those who tuned in at an impressionable age, it certainly fits the bill. Watching again, we’re convinced this dark fantasy follow-up to The Wizard of Oz is not meant for kids. First of all, Dorothy’s “hallucinations” about Oz are treated with none other than ELECTRO-CONVULSIVE THERAPY. 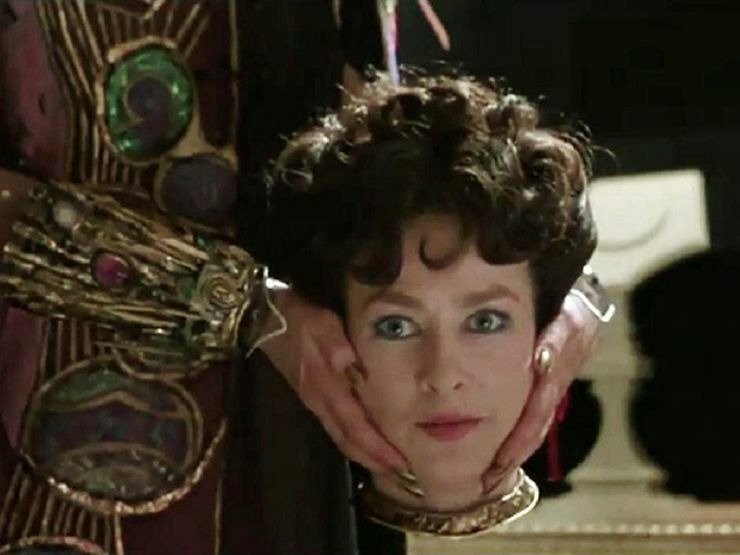 Then we have the lethal sands of the Deadly Desert, the hopped-up roving weirdoes known as the Wheelers, and of course Mombi, who can switch her head whenever the mood strikes. Amazingly, all of these details can be found in L. Frank Baum’s beloved children’s books. Maybe kids were just tougher in the early 1900s. No parent should let his or her child see this disturbing flick—heck, most adults can’t handle watching it now. Nevertheless, this supernatural horror flashed across the screen at many a slumber party. Perhaps it was the red-nosed joker on the cover that duped us into thinking it was Bozo the Clown. 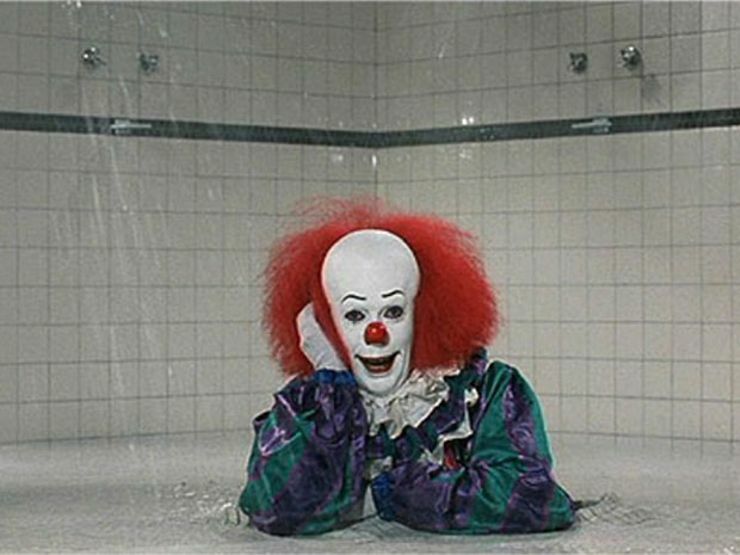 Instead, Tim Curry’s maniacal Pennywise is closer in spirit to the ghost of John Wayne Gacy. The shower drain has never looked the same. Movies from 80s and 90s knew just how to scare us. 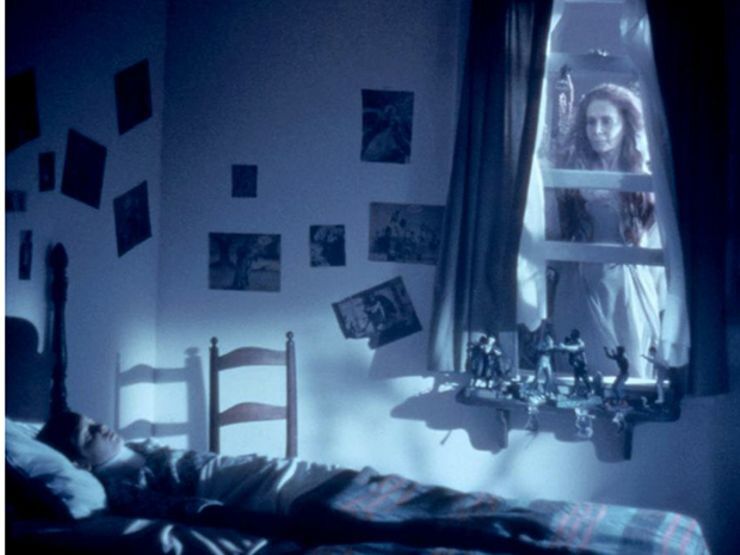 Even flicks that weren’t released as horror films—Who Framed Roger Rabbit, All Dogs Go to Heaven, The Neverending Story, The Brave Little Toaster, and, of course, the deeply-scarring My Girl—cut to the quick, exposing us to the terrifying reality of the world. Looking back, it’s amazing we survived.